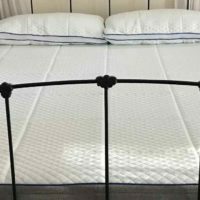 Ikrema Mattress Review | A Soft Bed that is Great for Side Sleepers. The Ikrema Mattress is relatively new to the mattress-in-a-box scene. They have created a great bed for a competitive price. They hope their lucrative costs will pull more customers towards their bed. 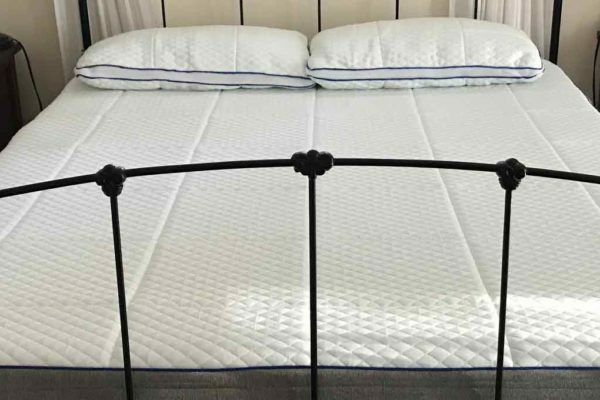 Read our Ikrema mattress review to learn more about this bed. The Ikrema is a softer mattress getting a score of 4 out of 10 in the firmness rating (10 being the firmest). While being one of the softer beds we have researched, it isn’t overly soft. We have found that sleepers tend to sink into this bed and get a cozy feeling. The Ikrema mattress has 6″ of high-density support foam. The durable material supports the sleeper beneath the two softer memory foam layers. Side sleeping customers would do better on this mattress than a firmer one. It will allow their hips to sink, while still providing a good amount of support for their spine. The Ikrema has a sinkage of 3 inches. This depth is not bad for a softer bed. Sleepers should get the softness and cloud-like feel, without the drowning feeling. The other benefit of such a soft surface is the lack of horizontal movement. Sleepers should can toss and turn without waking their partner. The negative of such a soft top is the lack of response. It requires more energy to move around on the iKrema Mattress. The Ikrema’s top layer is a cool memory foam designed to wick heat away from the sleepers. They also have a breathable top fabric to aid in cooling. With a softer mattress like Ikrema, it is important to keep the sleeper cool. We haven’t heard any customer complaints or critiques about off-gassing with the Ikrema mattress. Most beds tend to have a little bit of a small, but it dissipates fairly quickly. The Ikrema is Certipur-US approved, so there is no worry about cancer causing chemicals. The Ikrema Mattress is a very soft bed. Sleepers will fall into it and have the mattress hug their body. There is very little motion transfer with the ikrema Mattress. Sleepers should be able to toss and turn without disrupting their neighbor. Ikrema uses a Cool Memory layer along with a breathable premium fabric to keep the sleeper cool. 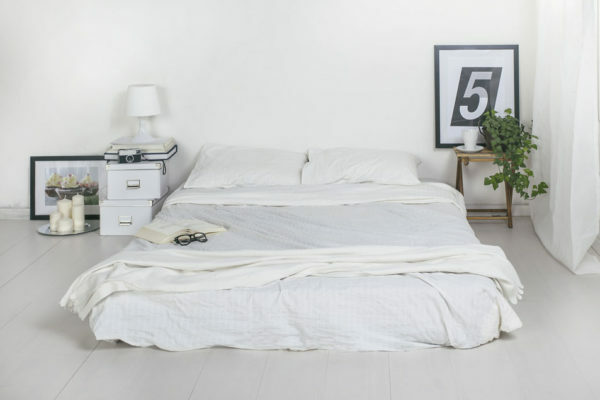 Keep reading our Ikrema mattress review as we break down the bed into its individual parts. Learn how the different layers of the Ikrema keep you comfortable and fresh. A machine washable fabric designed in Belgium, but made in the USA. The highly porous material allows heat to disperse from the sleeper. 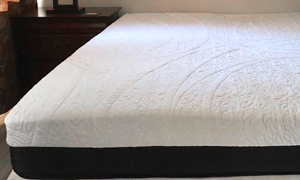 2″ of Cooling Memory Foam designed to comfort and cool. 2″ of Tex Memory foam gives a blend of comfort and firmness. 7″ of High-density foam provides the support needed for a great sleep. Ikrema sells two different mattresses to their customers. They have the iKrema SuperPedic Memory Foam Mattress and the iKrema MaxComfortPedic Memory Foam Mattress. The two beds are about $400 dollars in price difference. 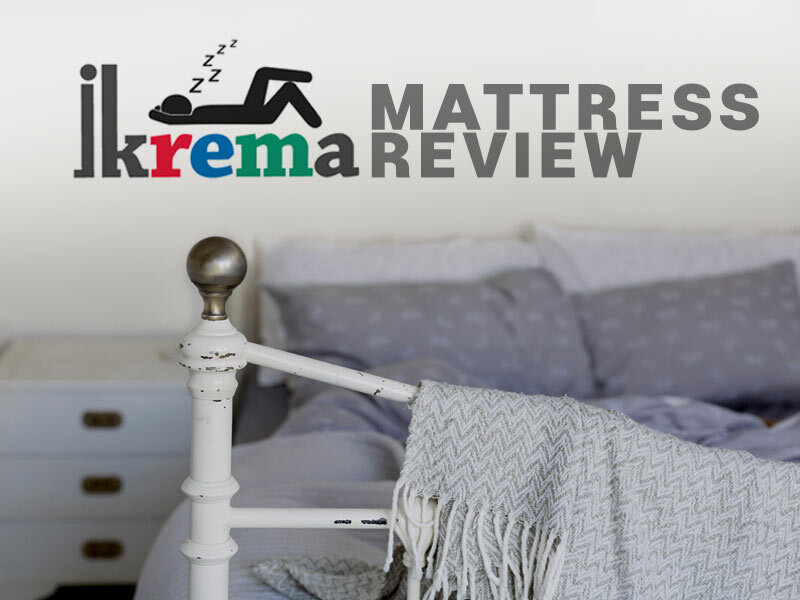 Let us know what you thought about the price in our ikrema mattress review comments section. The Ikrema is a softer bed than most of its competitors. It is perfect for side or back sleepers. The two memory foam layers blend to give a pressure free sleep. Head over to their website and see why the iKrema bed is getting so much praise from its customers. 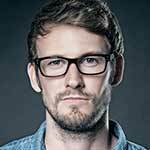 They offer a 101-night risk-free trial so users can buy stress free. The discount will be applied when you click the button.